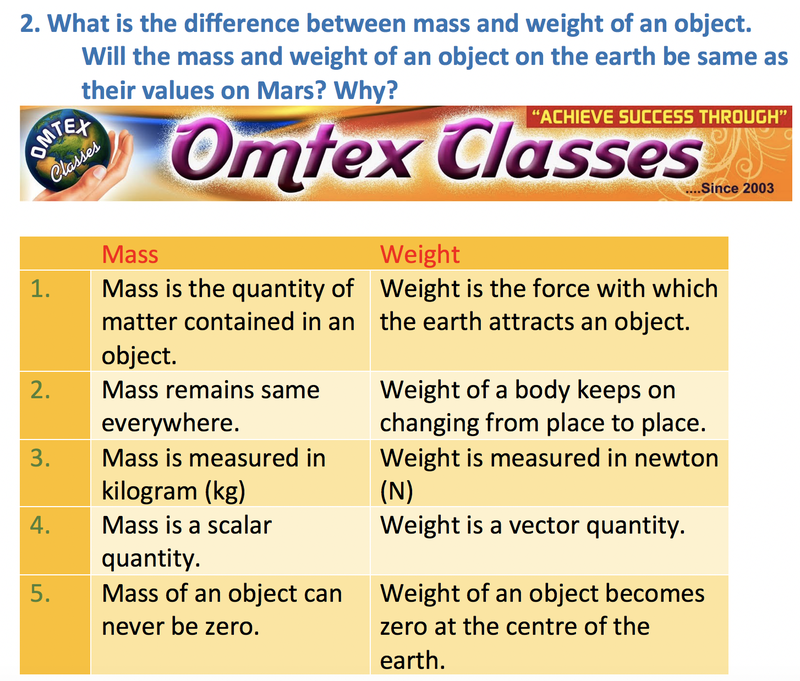 OMTEX CLASSES: What is the difference between mass and weight of an object. 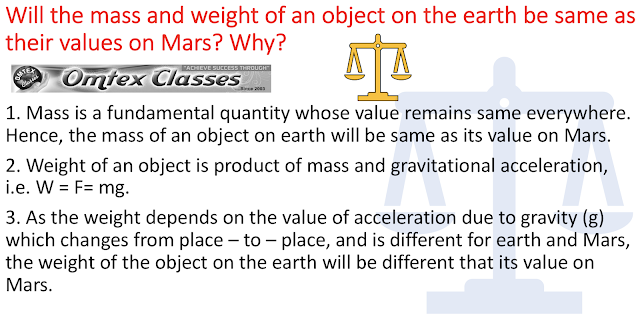 Will the mass and weight of an object on the earth be same as their values on Mars? Why? 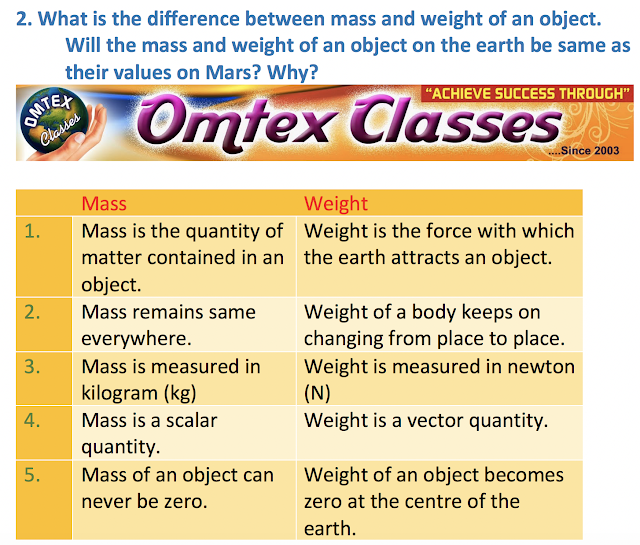 What is the difference between mass and weight of an object. 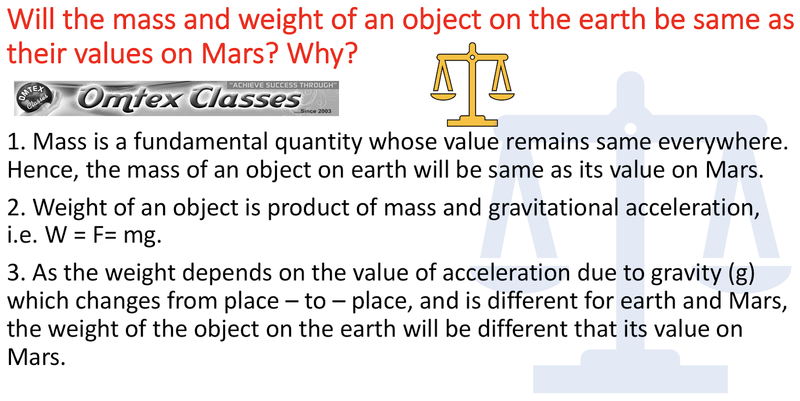 Will the mass and weight of an object on the earth be same as their values on Mars? Why?